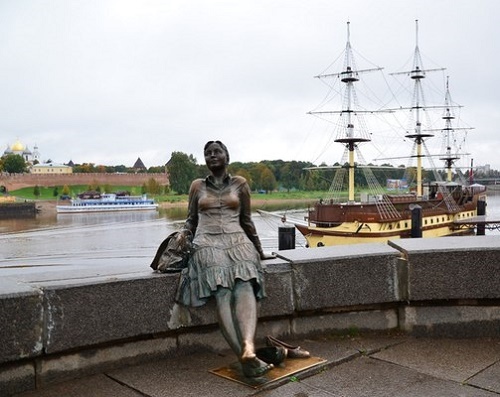 Nikolay Sumarokov, a publisher who ordered this monument to the sculptor, said that the idea of ​​the monument came to him after returning from the world trips, when Sumarokov felt sad to see almost unchanged hometown. So, Nikolay Sumarokov decided to renew the face of Novgorod, giving it a monument. 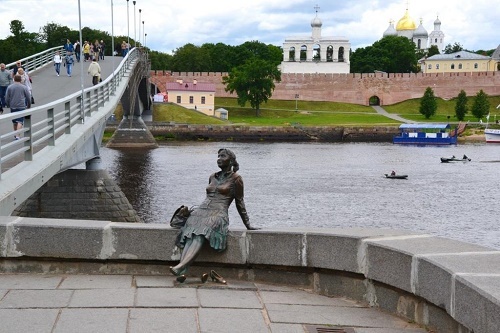 If you visit Veliky Novgorod, sooner or later, you will come across this monument – since it is a very crowded place – opposite the Kremlin bank of the Volkhov bridge just outside the Kremlin. By the way, for the last decade, here have appeared a lot of bronze sculptures, though the tourist girl is still most popular. Probably, because some special sincerity. 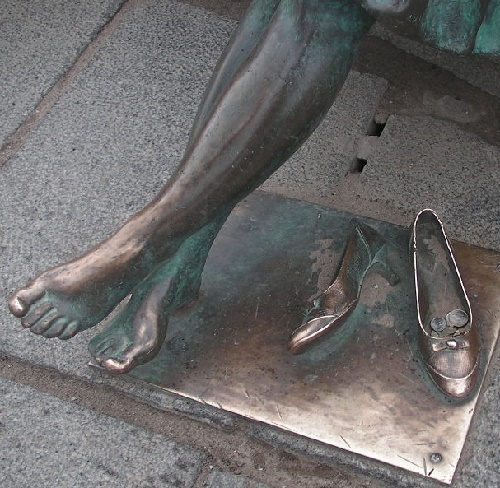 The Girl is quietly sitting on the embankment, shoes off, which obviously rubbed her feet after a long walk. Therefore, she is called a tired tourist. Its author – a member of the Novgorod Branch of the Russian Artists’ Union Vadim Borovykh.